PSA launched tailoring skills training at Mutharasanallur training center on the 16th of April 2011 for rural women hailing from Dalit community or other economically backward communities. They are school or college dropouts. 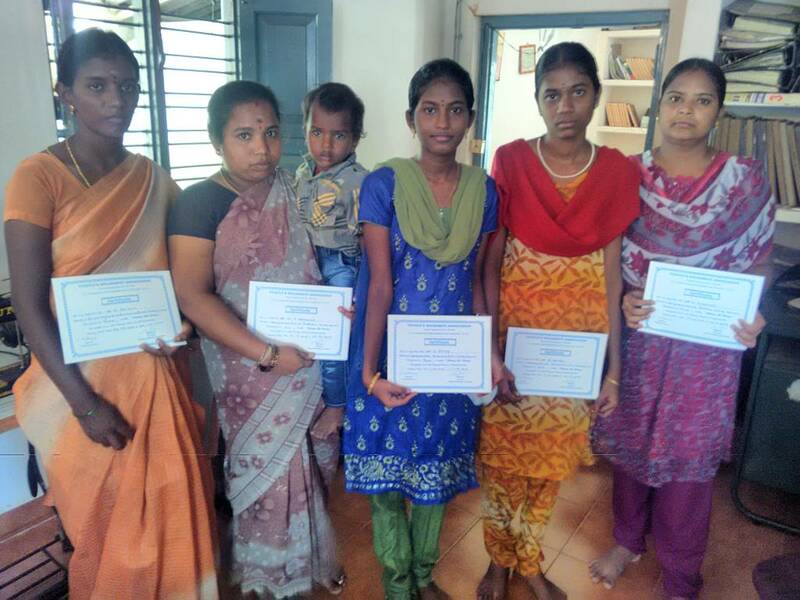 They had discontinued their education due to poverty and lack of parents encouragement. They would be forced to early marriage as well as becoming semi-bonded laborers in the fields or other informal sectors such as building construction, brick making, breaking stones in quarries etc. Hence, these ladies wanted to acquire an income generating skill by attending tailoring training for a period of three to six months. The training starts every day at 10 a.m. and continues till 5.30 p.m. During the training class, the trainees learn about the basics steps of dress making, cutting, hand embroidery and machine embroidery designing. They also undergo training on making different varieties of bags, pillow covers, table cloth, door mats etc. 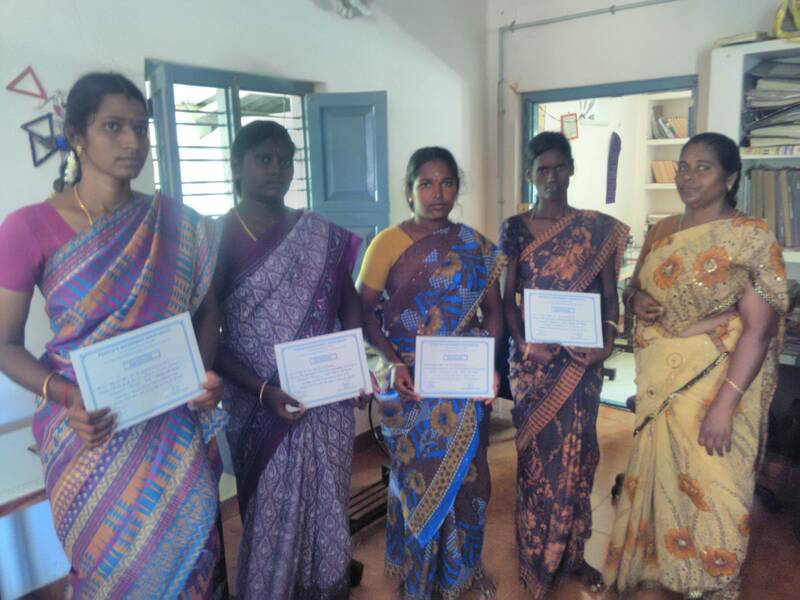 These trainees were being provided with a course certificate after successful completion of the course. They find this useful to seek employment in private companies or to seek loan facilities to establish a tailoring shop. It is encouraging to observe that this course is contributing to the trainees to become economically self – reliant and gain better quality of life. They also are able to acquire self confidence, self esteem and basic life skills. They are no more looked at as a burden to the family. During the period April 2011 to March 2012, fifty women successfully completed the training. During the period April 2012 to March 2013 ,sixty women successfully completed the training. Are you interested in providing stitching orders for the women in the Community College? Please fill in the contact form and we will be in contact with you shortly to discuss the possibilities.